Many thanks to everyone who worked hard to make this annual event such a success. 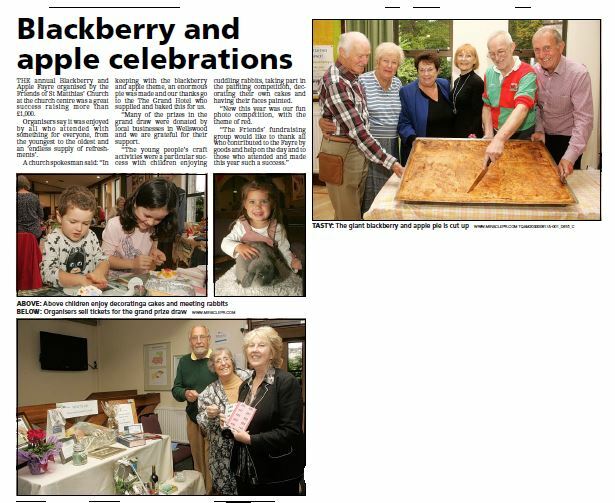 The ingredients included sunshine, music, good food, a baking competition, cake decorating classes, great fun and many happy visitors. And, not least, we raised over £1300 for the Friends, which will support future projects of the PCC. It would be unfair to mention individuals by name, but this was a great team effort, well supported by the wider church family and the local community. We will be back in 2017. The Friends organised two meals which were both well supported; a Christmas lunch at the Headland Hotel and our regular New Year Dinner at Amici Restaurant.